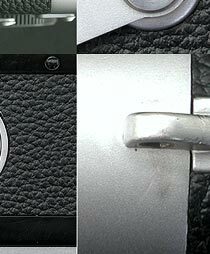 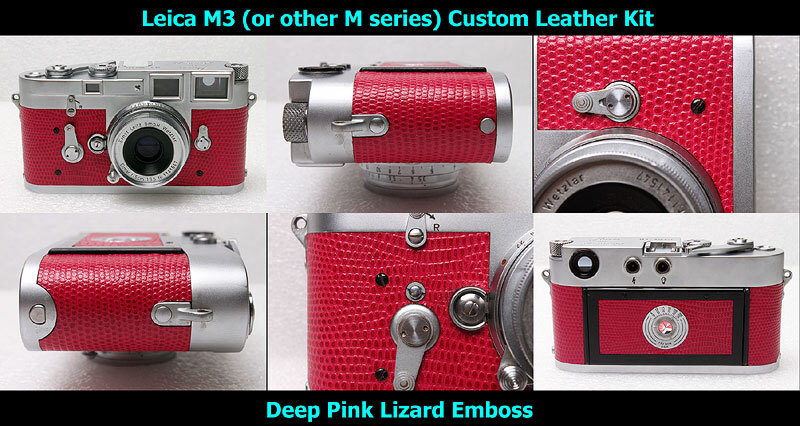 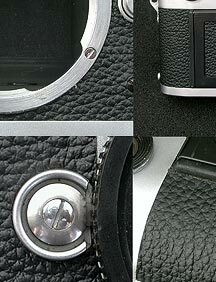 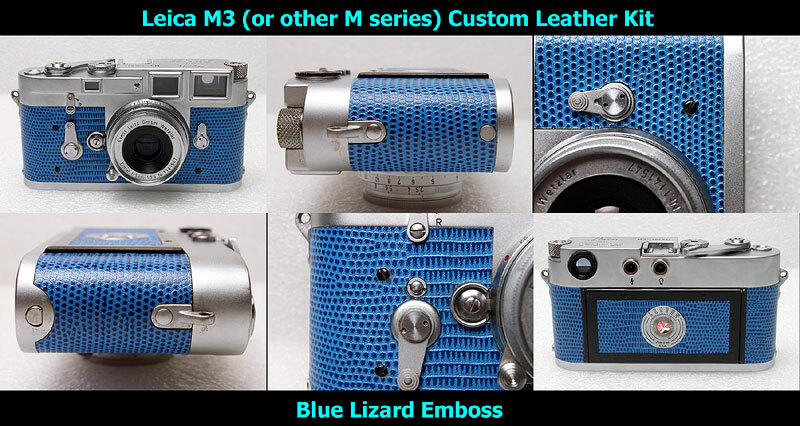 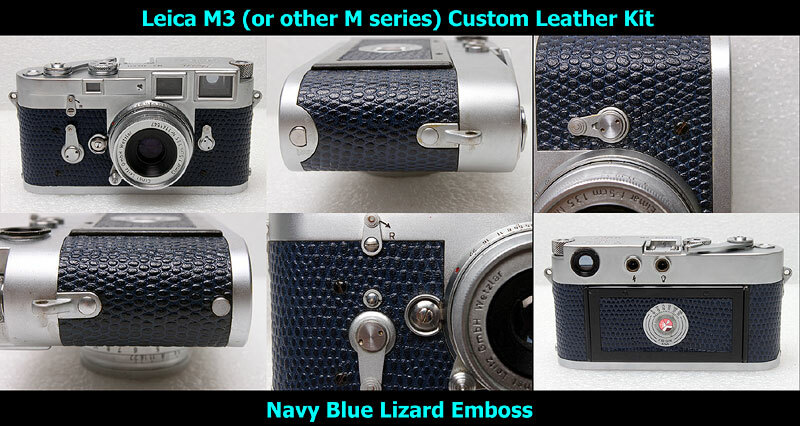 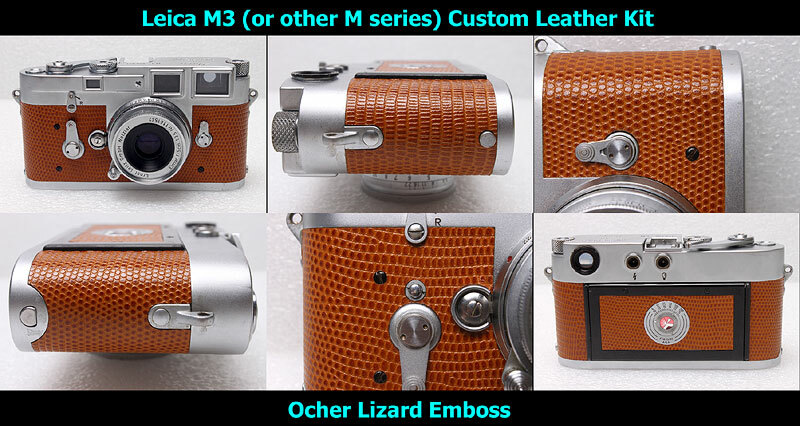 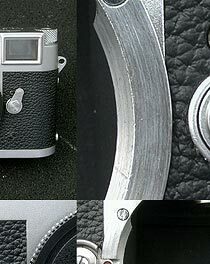 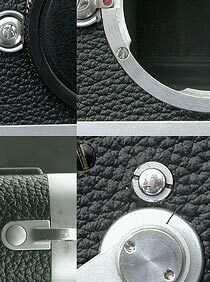 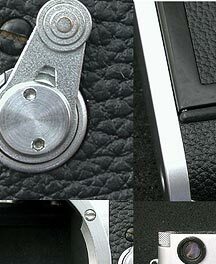 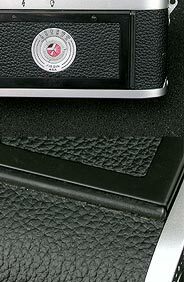 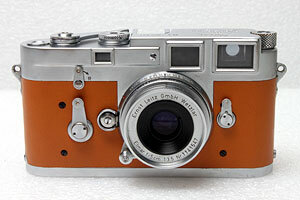 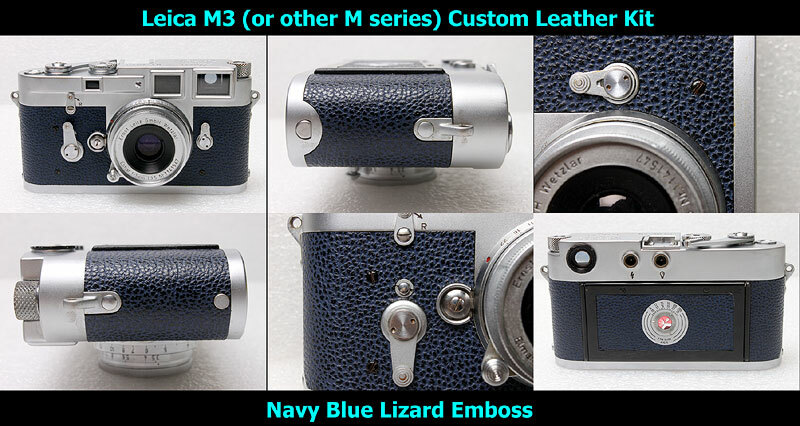 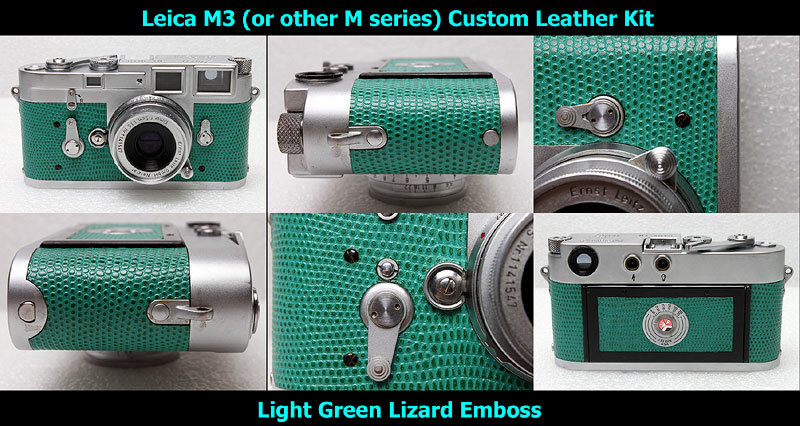 This is Custom covering kit for Leica M3 (NOT genuine parts supplied by Leitz). 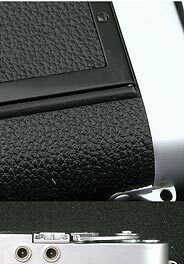 All of the materials are made by Koyo Orient Japan. 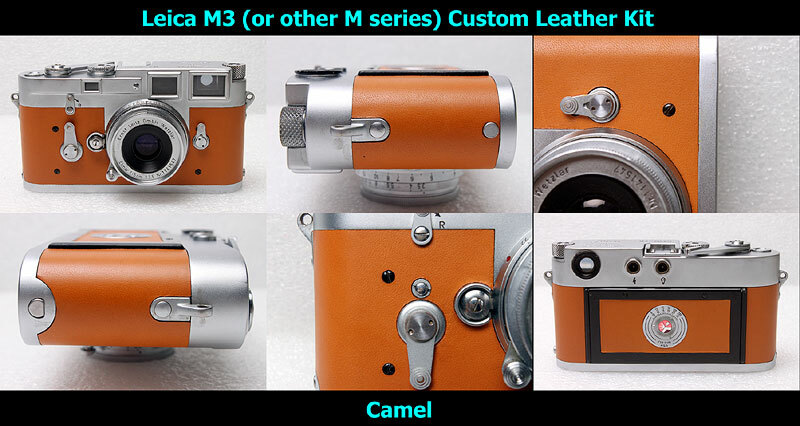 The camera leatherette manufacturer. 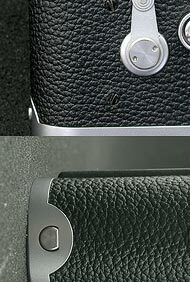 Very Durable and solid touch (not slippery). 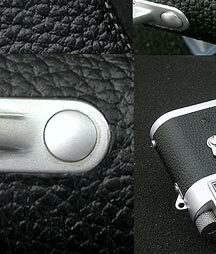 Sample photo of #4008 Leatherette. 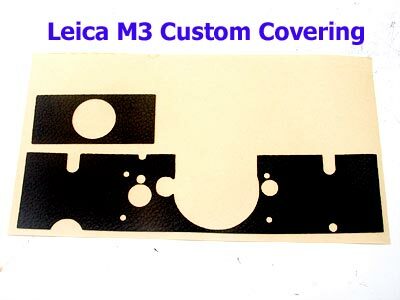 Self Adhesive and you do not need glue when you install this kit. 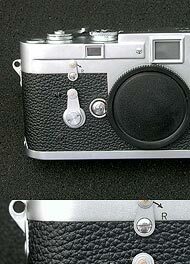 Not necessary to take out any parts from the camera except original vulcanite. 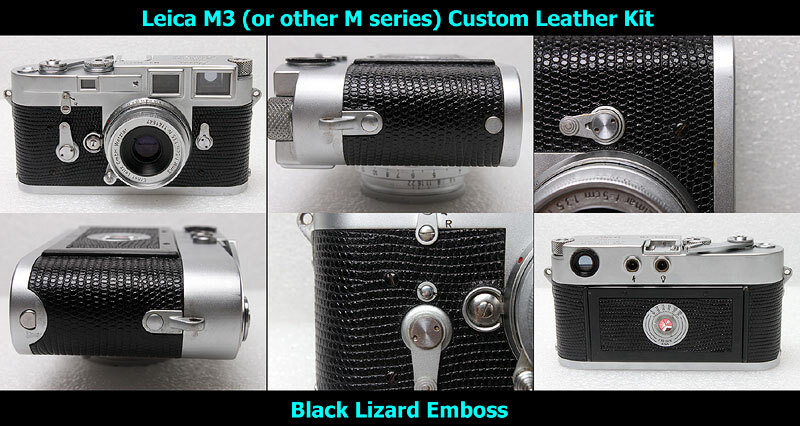 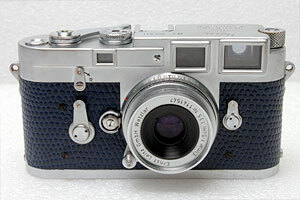 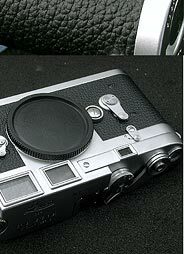 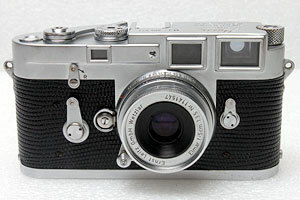 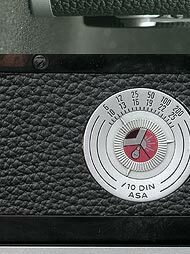 The are several types for Leica M3, but this kit fits to one type (supposed to the most popular one). 3. 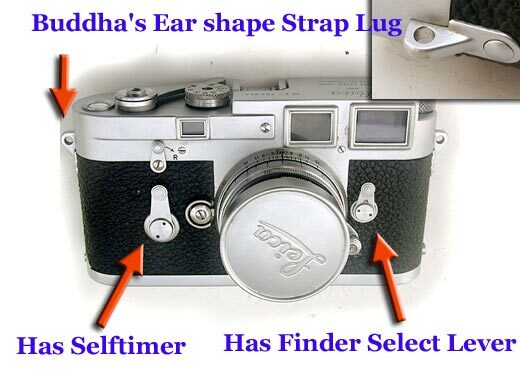 Buddha's ear like Strap Lugs. 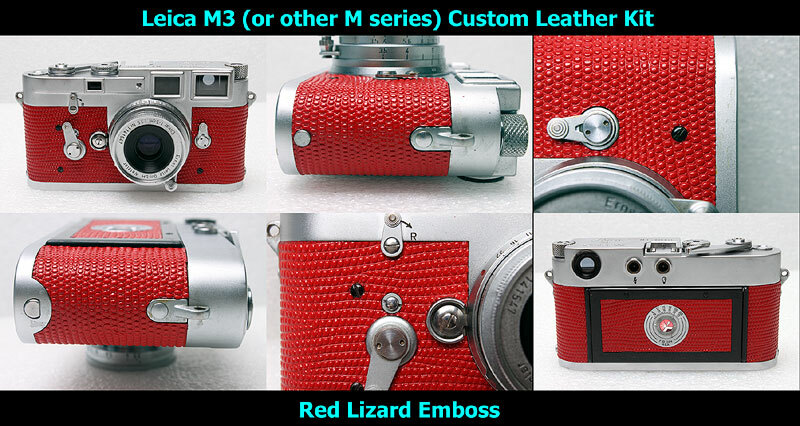 The price is $22 USD for #4008/#4040, $25 USD for Color Leather.